In February 2016 Funko announced a historic new partnership with Playmobile. Now one year later, the epic new toy line of Funko x Playmobile action figures is finally being released! What’s crazy about this collaboration is it features officially licensed pop culture Playmobil figures that are twice the size of the classic Playmobil figures that have been entertaining children and collectors since 1974. 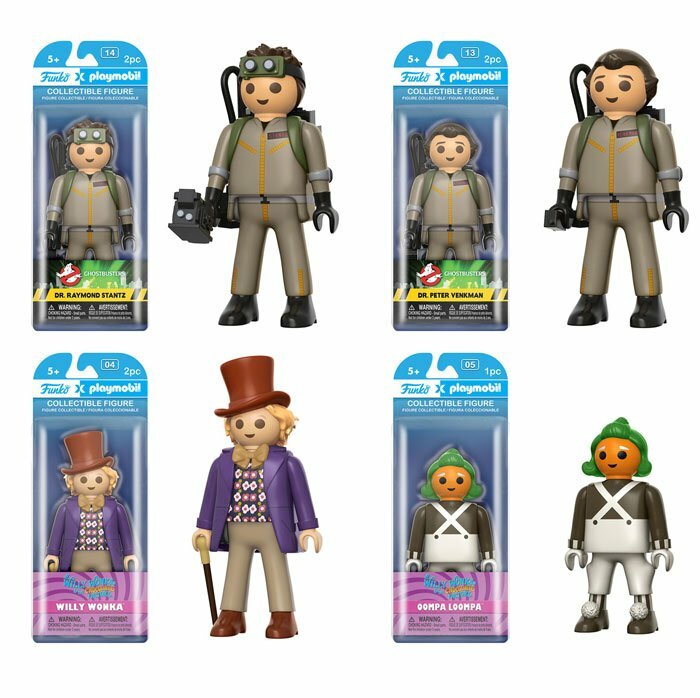 To kick off this exciting new pop culture toy line, Funko is releasing officially licensed Playmobile figures based on five properties: Teenage Mutant Ninja Turtles, Back to the Future, Ghostbusters, Doctor Who and Willy Wonka. The TMNT wave includes Leonardo, Michelangelo, and Shredder, as well as an Entertainment Earth exclusive Black and White Raphael. 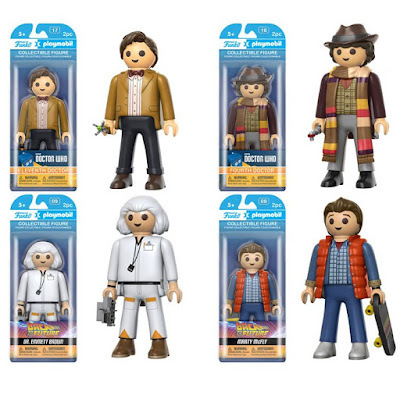 The Doctor Who wave includes the Eleventh Doctor and the Fourth Doctor, while the Back to the Future wave includes Marty McFly and Doc Brown. From Ghostbusters there is Raymond Stantz and Peter Venkman and from Willy Wonka there is Willy Wonka and an Oompa Loompa. 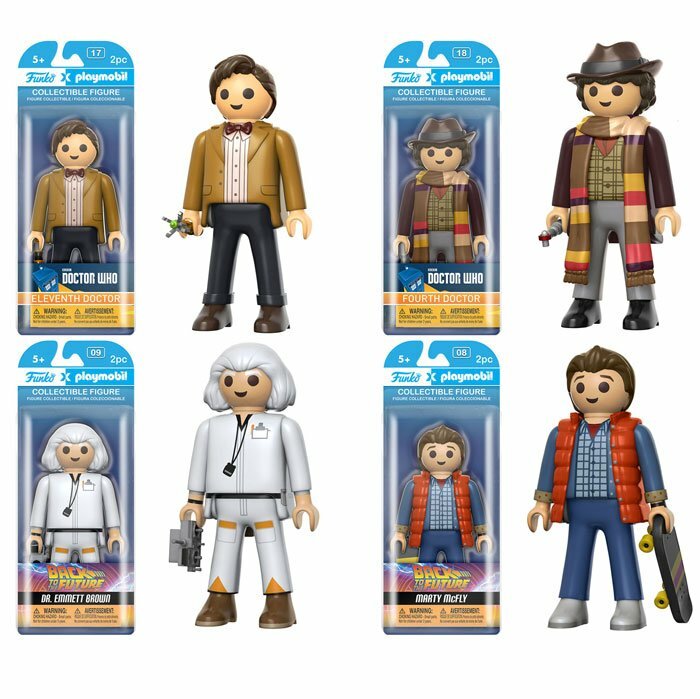 Each Funko x Playmobile figure stands 6” tall, includes a character specific accessory and features multiple points of articulation. 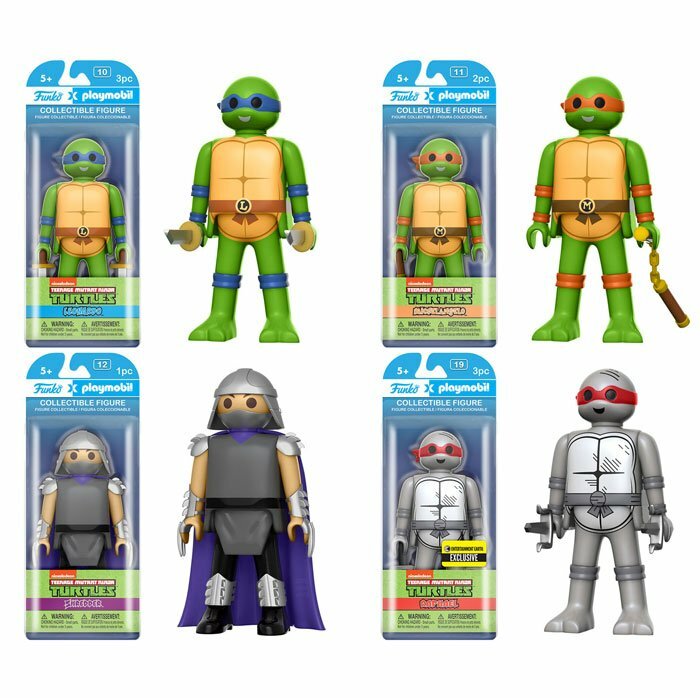 Packaged in a full color blister card, collectors can pre-order this exciting new toy line now at Entertainment Earth for $14.99 each here.